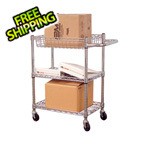 This metal cage steel shelf truck is ideal for the transport and storage of parts, packages and supplies. 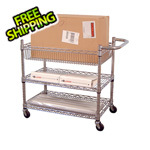 This shelf truck is made of durable 14 gauge steel with metal mesh on 3 sides to help contain the load. 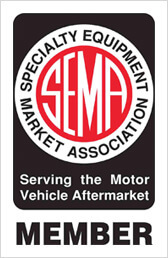 Truck includes 4 fixed height steel shelves with raised retaining edges. 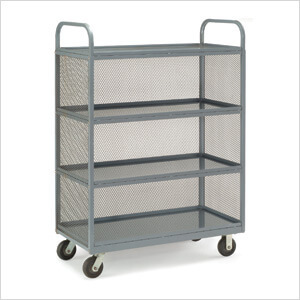 Tubular steel framing with convenient push handles. Moves easily on 2 swivel, 2 rigid 6" rubber casters. Assembles easily.